Get ready to be hypnotized and blown away. Originally from the small coastal town of Pori, Ruohonen started rapping at the age of 12 and he has perfected a fluent English flow. On his debut EP, Avalon, released in 2015, he deals with bleak themes such as alcoholism and small-town depression. His flow is hypnotic, low-key and dark as the night. You can hear EDM and dubstep forming a seductive pair with the dark hip-hop tunes. 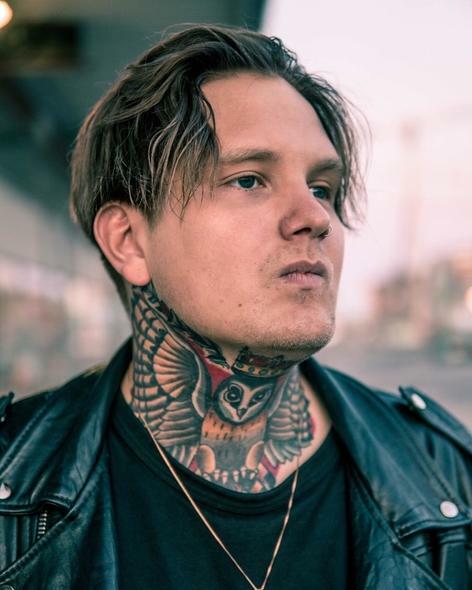 Ruohonen is friends with another Finnish rapper, Noah Kin, and the pair have collaborated on the track ‘Spill’. View is signed to the well-known German label Cargo Records and great things are predicted for him. Get ready to be hypnotized and blown away.